New interventions are needed to suit a variety of malaria transmission patterns. During the same time period, the number of malaria deaths stalled in South-East Asia and Western Pacific while increasing in the Eastern Mediterranean and the Americas. There is no magic bullet yet for malaria control. But it appears that even the most familiar prevention strategies are not being fully utilised. For example, under trial conditions, insecticide treated bednets convincingly demonstrated a cut in malaria by half. Yet this year’s report indicates that coverage of bednets is about 54%. This means that nearly half of the people who should be sleeping under the nets are not. The main drawback is funding to supply bednets and deliver them where they are needed most. On top of that, resistance to the only insecticide currently used for treating bednets has been reported in over two thirds of African sites that have been monitored. There is a gap both in coverage of bednets and in research of new insecticides. Although the 2017 World Malaria Report shows a plateau of the impact of malaria prevention and control strategies, this is not because they have reached their full potential. Far from it. The current interventions are hardly enough to eradicate malaria but if fully put to use, thousands of lives would be saved. The choice before us is clear. If we continue with a “business as usual” approach – employing the same level of resources and the same interventions – we will face near-certain increases in malaria cases and death. New interventions are needed to suit a variety of malaria transmission patterns. New ways of utilising old methods have also been shown to work. Giving anti-malarials to healthy people to prevent malaria disease and death is not a new thing and is used routinely in pregnant women , pre-school children ,school children and whole communities in malaria endemic areas. Despite the evidence available on the utility of this approach, it has been rolled out consistently as routine policy among pregnant women only. However, in the Sahel region, which includes countries whose northern border is the Sahara desert like Burkina Faso, Cameroon, Chad, Gambia, Ghana, Guinea, Guinea-Bissau, Mali, Niger, Nigeria, Senegal and Togo, the malaria season is brief and intense. Almost all malaria disease and death occurs within the three to four month rainy season and over 20 million children are at risk. Studies done in the 2000s to determine whether the monthly use of anti-malarials during the rainy season among children six months to five years reduced malaria cases showed that it reduced malaria disease by 75%. Using the evidence from this review, in 2012 the WHO made a recommendation that the seasonal intervention with sulphadoxine pyrimethamine and amodiaquine should be given at monthly intervals for three to four months in parts of sub Saharan Africa with highly seasonal malaria and where the parasite is sensitive to these drugs. However, the 2017 World Malaria Report shows that over 13 million children who could have benefited from seasonal treatment with anti-malarials in 2016, were not covered due to lack of funding. Building on this strategy, malaria expert Professor Brian Greenwood has suggested that the use of a partially effective malaria vaccine, RTS,S/AS01, during the malaria season may also be useful in the Sahel region. But rolling out the malaria vaccine will not be as straight forward as giving children medicine to swallow. The vaccine requires refrigeration and the children will need to receive multiple injections to attain efficacy. The potential of seasonal vaccination would be worth the difficulties if new malaria vaccines with better efficacy would be developed. In the meantime, there are simpler ways to improve the delivery of seasonal anti-malarials to children. In a recently published study from Mali, the health workers had to crush the tablets in water and add sugar to make it more palatable. How much better it would be if there was a sugar-free flavoured solution for children? Considering the millions of doses of the drug needed, a developing world pharmaceutical company should consider making a more edible version of the medicine. Finally, all is not lost because African countries such as Egypt and Morocco have been malaria free since 2000. According to the WHO to attain this status requires a country to demonstrate that there have been no indigenous malaria cases reported for three years in a row. Algeria achieved this feat in 2016 and another five African countries: Botswana, Cape Verde, Comoros, South Africa and Swaziland have been identified as most likely to eliminate malaria by 2020. 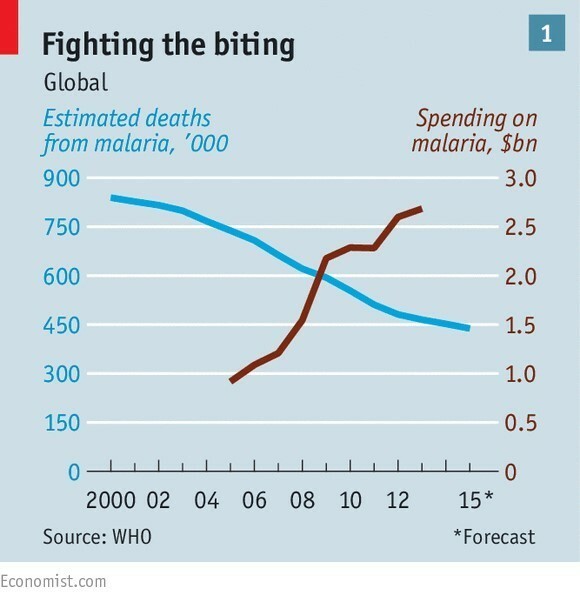 It is encouraging to watch malaria disappear in some parts of Africa, raising hope for the fight against malaria.